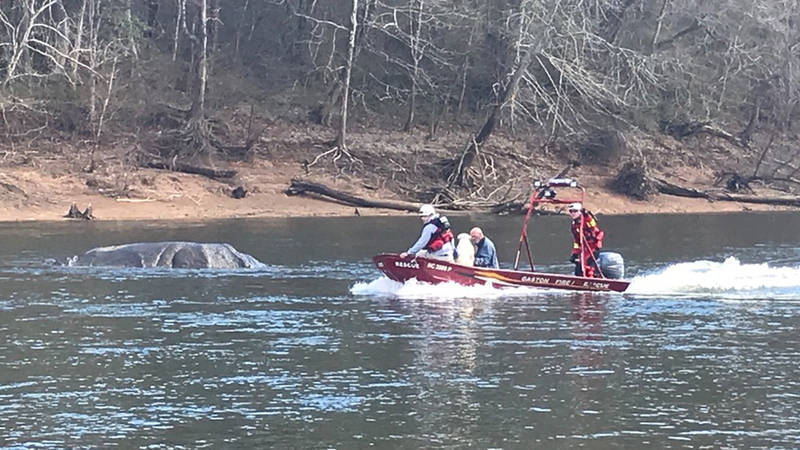 WELDON, North Carolina (WTVD) -- Multiple agencies responded to a capsized boat on the Roanoke River near Highway 301 in Weldon Sunday afternoon. Chief Ed Porter, of Gaston Fire and Rescue, said that swift boats were deployed and 2 men with a dog were found hanging on to the overturned boat. All were rescued and checked out by EMS.